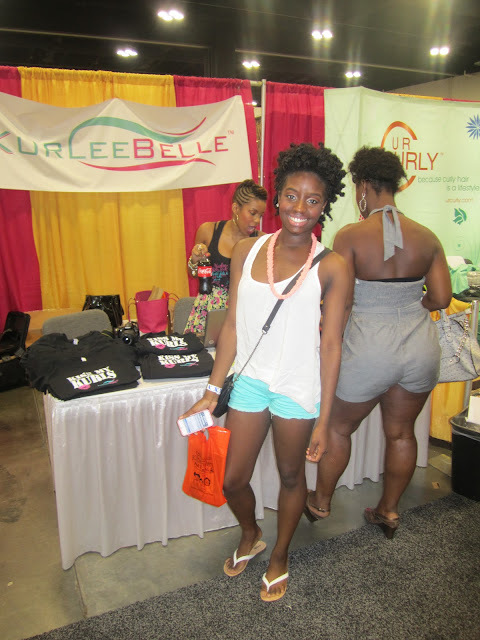 Kurlee Belle: The World Natural Hair in Atlanta, Ga: Kurlee Belle's First Big Event! 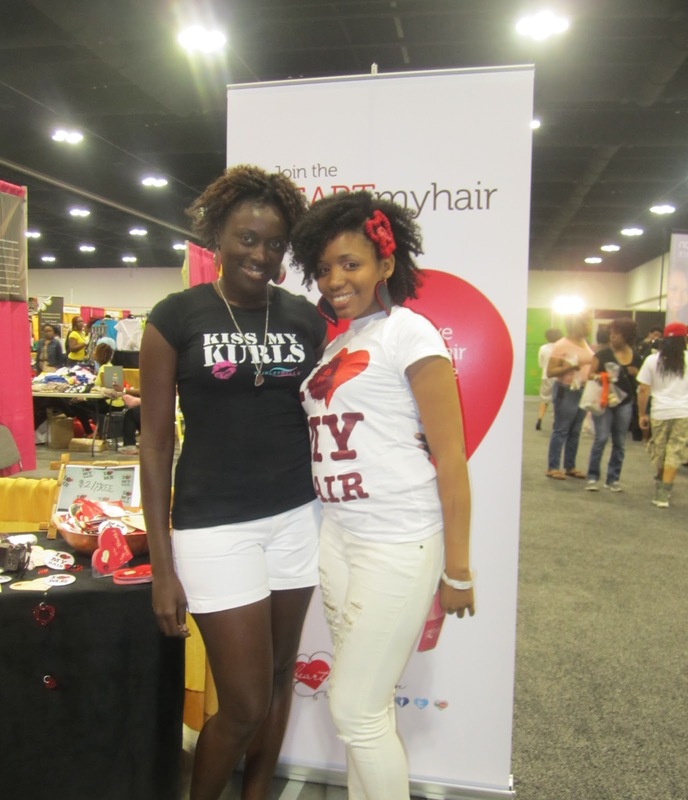 The World Natural Hair in Atlanta, Ga: Kurlee Belle's First Big Event! Kurlee Belle attended the World Natural Hair Show hosted by Taliah Waajid in Atlanta, Georgia on April 28th-29th, 2012. We met a lot of naturalistas, natural hair bloggers, vloggers and entrepreneurs including Karen of Karen's Body Beautiful, Naturally Kela, Char Jay, Kim from the NappyLife.com and many more. 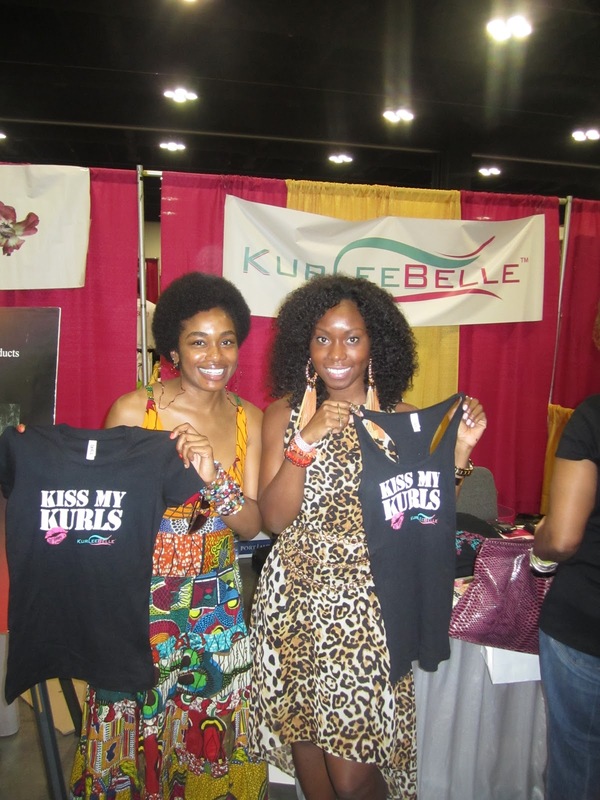 At the event, we debuted our newest t-shirt and tank design "Kiss My Kurls" which was a hit. We also almost sold out of our original tee "Kurlee Girls Rock" and "I love My Curls". All shirts are available for purchase on the right hand side of this blog. Special thanks to my bestie Melissa Chanel who is also a natural hair and fashion blogger! Thank you all for your support! We had a blast and will definitely be attending the show again next year! All the way from Houston! South west naturals was in the house! Love this girl ! Cute outfit and color combo...I had to take a pic! Great summary... thanks for the shot out! The show looked amazing.....I'm glad ure products were a hit!!!!! This is a great post.I think it will be very usefull to us. I read it but I need some thing more to know about this. How can I know about this.